CommandHub is the only purpose-built, end-to-end Secure Collaboration Platform that has been proven in demanding situations like Banking, Government, Defence Contracting, Justice & Telecommunications for over 10 years. CommandHub comprises 3 products that cover the spectrum from secure file-sharing to secure collaboration on mobile devices. You can start with the protection you need and expand without integration, redundancy or costly consulting. 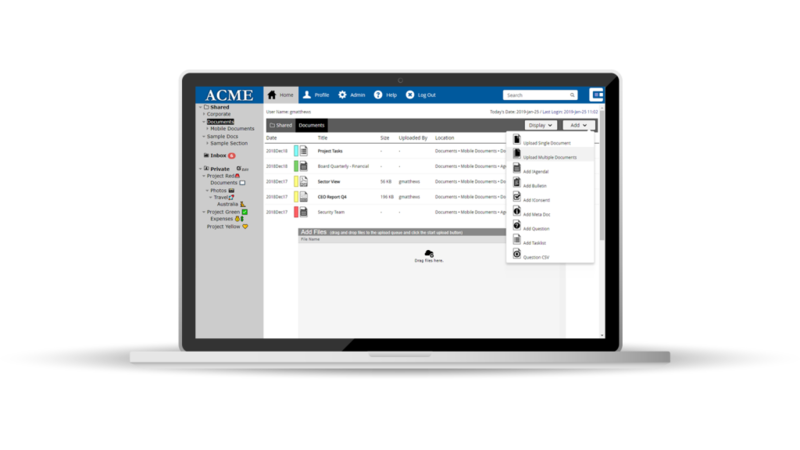 Designed on the Intelligence Community principle of compartmentation, CommandHub lets you create multiple levels of ultra-secure compartments and configure access and set user controls for each one. In this way, even staff with seniority or security clearance won’t gain access to specific compartments unless their roles require it. This is far more secure than file-level, user-level or combined controls and removes the complexity of this approach and the risk of a ‘Chelsea Manning’ type event. You’ll choose CommandHub on its own if your sensitive collaborations are mostly desktop-based. 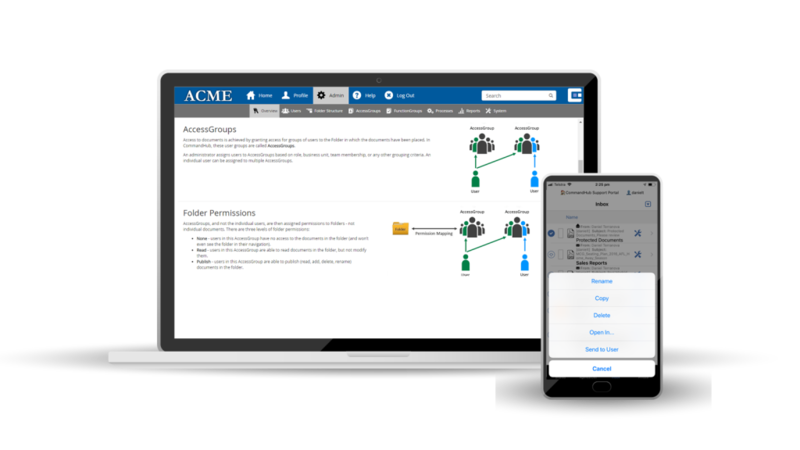 You’ll add HubVault if your collaborators may involve mobile devices or if end-to-end protection is critical in your situation. Combining a multi-encrypted tunnel for file transfer, double encryption per file and non-recoverable authentication and master encryption keys, HubVault enables authorised access and collaboration, while rendering your files effectively ‘uncrackable’ if the device is hacked, mislaid or stolen. You’ll add HubVault to CommandHub if your sensitive or classified collaborations include users on mobile devices. HubDrop lets you set your organisational rules for using sensitive content. Then, your users can set up and edit their own file structures and choose which files can be shared with whom. This provides you with the control you need and users the simplicity they demand. You’ll choose HubDrop if you just need to share files securely and don’t need the full collaboration or business processes of CommandHub. You’ll add HubVault to HubDrop if you want to secure file-sharing on mobile devices. You want to be sure your collaboration solution is securely hosted. CommandHub is built on a layered, multiple-server, military-grade architecture. Hosting is fully in Australia within the Vault Systems hyperscale cloud for critical infrastructure providers. Created to meet the Australian Signals Directorate (ASD) TOP SECRET controls and successfully assessed to SECRET in an IRAP process, the Critical Infrastructure Cloud is a clone of the Government Cloud (certified to PROTECTED) and itself holds UNCLASSIFIED DLM certification. Additionally, the CommandHub platform has been successfully assessed to PROTECTED in an IRAP process. All data and backups for Australian workspaces remain in Australia and are managed by Australian personnel with Australian government SECRET level security clearance. Most collaboration solutions are designed for setup and control by IT teams. CommandHub is different. It’s designed to be set up, configured and managed by your own team members who don’t need special IT skills. 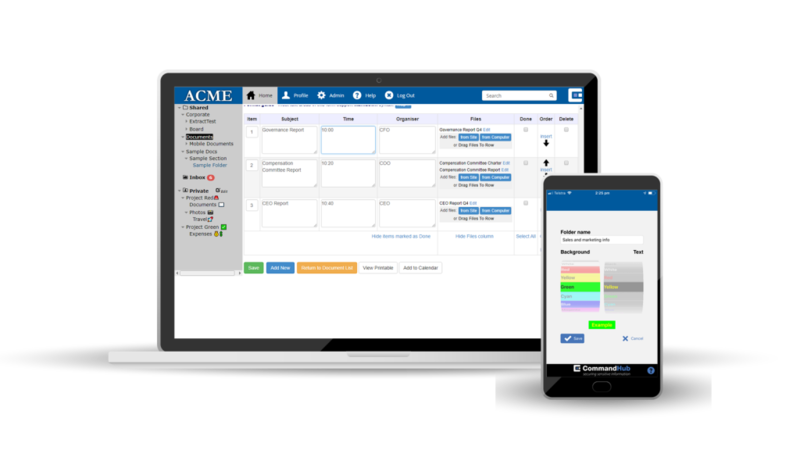 The intuitive interface, logical processes and the simple turning on or off of functions gives control to your administrators, frees up your IT team and eliminates the need for costly professional services. Many providers limit support to online chat, forums and FAQ and charge for any training or additional support. CommandHub takes a different approach. Training for administrators and general users is part of the implementation and 24×7 phone, email and web-based support is available. Some collaboration solutions scale more easily than others. CommandHub’s architecture has been designed to scale with ease and without the need for IT help. 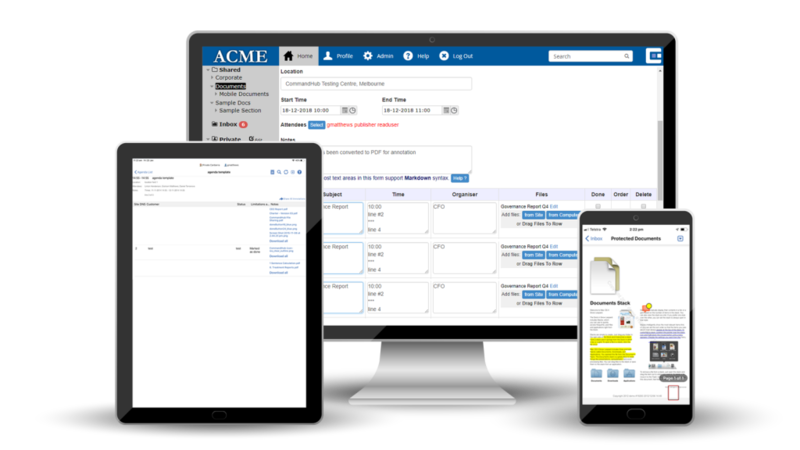 After the initial deployment, your administrators can expand to multiple departments, groups or entities easily, quickly and cost-effectively.